Integrate with cloud call API service Twilio, Multiple host connectivity monitoring rules can now be created etc. As announced in Hatena’s press release the other day, Mackerel has integrated with Twilio as a notification destination! Not only does Twilio make alert call notifications easier, but it also allows you to make complex phone call notifications using TwiML. There are also some very hackable components available with the integration of Mackerel and Twilio such as callback processing by specifying the Status Callback URL and the above mentioned notifications using TwiML. Together with this release, we have co-organized a Hands-On Seminar with Twilio where you can learn about the integration hands-on! This seminar is going to be double the fun, so you should definitely apply! You can now create multiple connectivity monitoring rules, that of which have previously been created by default. 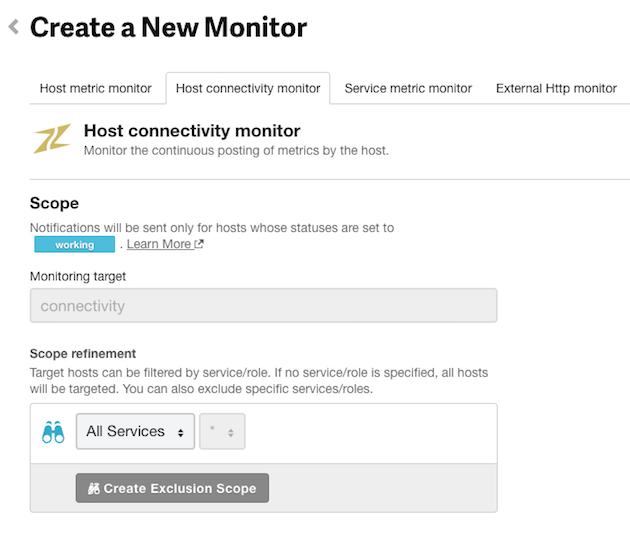 With the ability to create multiple connectivity monitoring rules, it is now possible to flexibly control the connectivity monitor’s notification channel in each service and role. By all means, give it a try! As previously mentioned in last week’s announcement, yours truly (id:a-know) successfully participated in the OSC Tokyo 2016/Fall LT (Lightning Talk) Tournament. With a short presentation time-limit of only 5 minutes, LT is uniquely challenging. I can’t say that I did a particularly great job, but the audience seemed to have a good time and that was a big relief. On top of that, there’s a video this time. It’s a little embarrassing, but if you’d like, check it out here.